Since summer is coming to an end, its important to rock as much white as possible before your skin loses that oh-so-perfect bronze glow! Sometimes all you need is a little pop of colour to brighten your entire day. Whether you’re heading to the office, the beach or just parking your bum on a patio, these floral shorts by She Inside will help you make the perfect statement. Since the shorts are so colourful, it’s important to pair them with something neutral (white goes with everything). So throw on some elastic waist shorts and your fav crop top, because summer’s still shining bright – and so should YOU! There’s something very fitting showcasing these modernized overalls for Twisted Tuesday. Playing on the pleated/wide-leg trend, Forever 21 takes it a step forward by adding a bib and turning these pants into an entire outfit. Designed for their intended purpose, these babies can be worn over anything. What do you guys think about this wild trend? If you like anything you see, feel free to shop the look by clicking on any of the links below! An amazing concept that is sometimes overlooked by chic, elegant and feminine fashion trends is the ability to transform and repurpose menswear. The choices women have don’t need to be limited to tight-fitting fabric and flattering cuts. Instead, repurposing mens clothing, or even mens design can have the same, or even a more powerful effect. 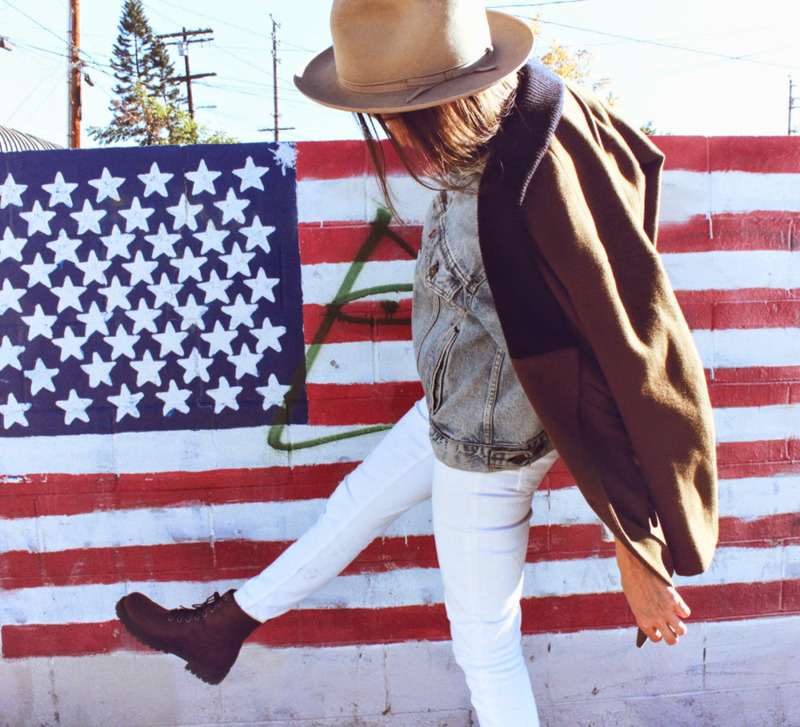 A unisex jacket and boots mixed with some modern denim is perfect for giving off that tomboy look. What do you think ladies? Ready to lace-up those boots and give the boys a run for their money? It can be easy to get carried away with wearing bright colours during summer. Something that is constantly overlooked is the simplicity of white, and the sophistication it brings to your wardrobe! It’s bright, it accentuates your sun-kissed skin, and it goes with absolutely everything.